Experienced skiers know the right layering system can be critical for a successful day on the mountain. One of the most overlooked and under-appreciated layers is ski gloves. 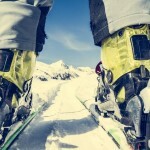 In this article, we'll look at one of the top brands of ski gloves available—Kincos ski gloves. Whether you're an expert looking for all-day comfort as you cover the front-side and back bowls of a Western mountain or a beginner who needs a value product, Kincos ski gloves are worth a look. When choosing the right layers, there are many factors to consider. Budget, functionality, aesthetics, and performance are all critical factors to consider. Kincos ski gloves offer a wide range of features and option for skiers of all levels. In this article, we will compare them to some other leading models from competing brands. 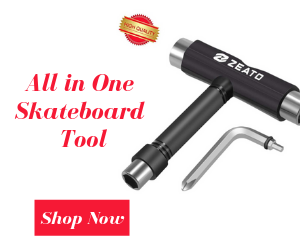 We have broken down a few of the key features for product and also considered price, durability, design quality, and warranty offered by the manufacturer. We also provided a few pros and cons for each model in the review as a quick reference plus some overall thoughts about the Kincos ski gloves we reviewed. 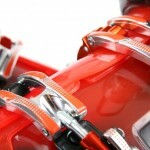 What Are Kincos Ski Gloves? 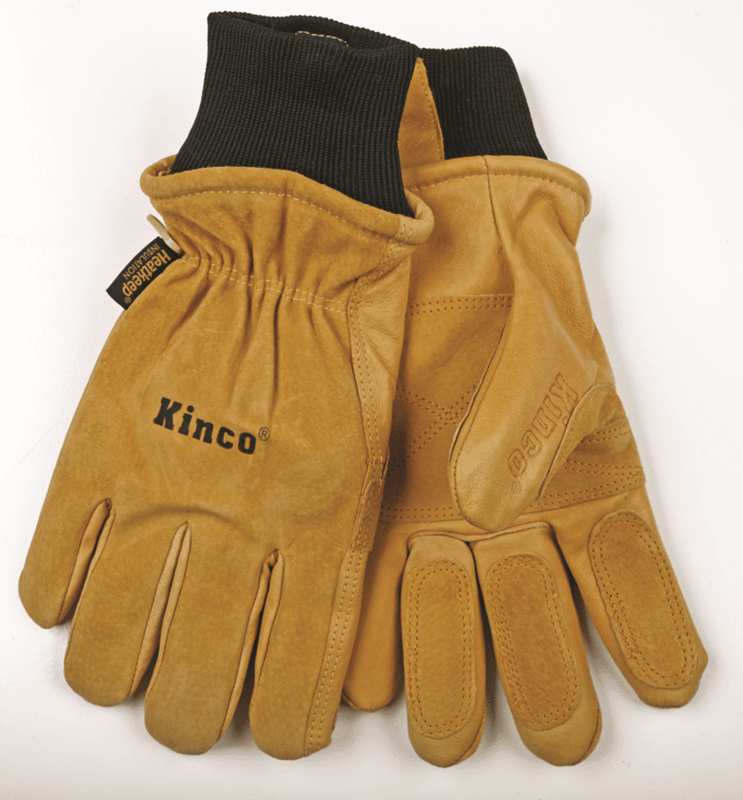 Kinco is a leading brand in workwear gloves. Because of their high-quality fabrics and excellent durability, these gloves have been a long-time favorite of ski industry professionals like lift operators and patrollers. Kincos ski gloves are made of premium leathers and have a simple and utilitarian aesthetic that will appeal to minimalist skiers who demand performance. These gloves are a mainstay from farms to factories to ski lifts. With tough and functional designs they have earned they place amongst the most respected gloves in the outdoor and workwear industry. Since the rise of freeskiing and backcountry skiing, Kincos ski gloves have also become a status symbol of sorts signifying a certain level of knowledge about seriously tough gear and excellent value. 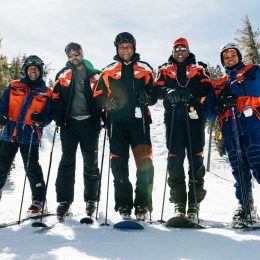 For this review, we will focus specifically on one model of Kincos ski gloves—the 901 Men's Pigskin Leather Ski Glove. These are high-performance ski gloves that are constructed of professional grade materials but priced low enough to appeal to even casual users. The standout feature of the Kincos 901 men's ski gloves is the premium pigskin leather. It has a creamy beige color and is supple to the touch for all-day comfort. And though these gloves provide plenty of rustic styles, they are also super tough. 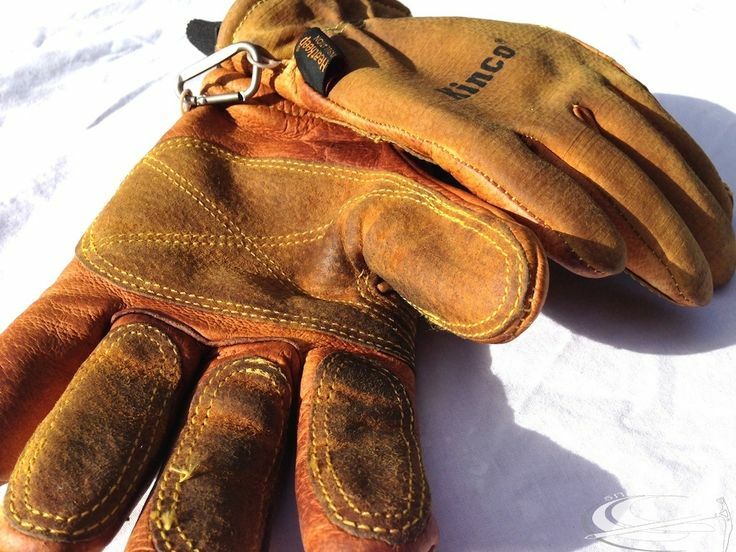 The durability of this leather will not only protect the gloves themselves but also take care of your hands if you are an outdoor professional. 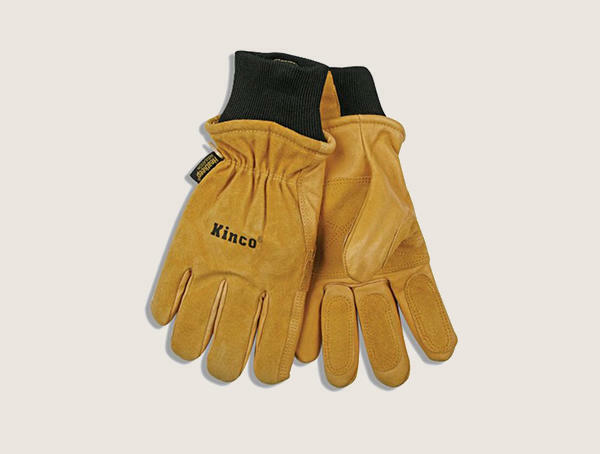 Kinco also provides NikWax leather treatment with these gloves to ensure ideal weather protection through the life of the gloves. Besides the tough premium leather, these gloves also boast some impressive heat. 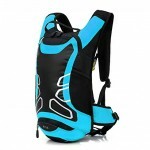 They are loaded with HeatKeep insulation which is a premium synthetic liner. 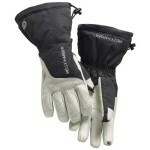 Using a synthetic liner in these gloves is a key as they will keep you warm even if they get a bit wet. These Kinco ski gloves also feature a polyester/elastic band at the wrist to keep the gloves securely in place and provide good insulation at the pulse point. Though these Kinco ski gloves share DNA with their work gloves, they have a more athletic fit and design. A key design feature on these gloves in their proprietary WingThumb. This design offers excellent left-to-right movement without a seam between the thumb and forefinger for better mobility and comfort. The palms and thumbs are reinforced with additional roughed hide leather that is stitched with high-quality Dacron for strength. Kinco's 901 ski gloves use a standard "driver" style glove shape. They are athletic without being too tight but also leave plenty of room for an internal liner glove. A driver style glove could be an ideal choice for an all-season ski glove as they allow for some layering without too much additional bulk. The leather construction will also provide excellent tactility when it's time to crank down your boots. These Kincos ski gloves have an unmistakable aesthetic that has been replicated by much higher cost brands like Black Diamond and Mountain Hardwear over the years. The golden yellow finish on these work-inspired gloves sends a message that you're tough on gear but also smart enough to know how much is too much for a pair of gloves. Kincos ski gloves vary in price depending on size, model, features, materials, and even the time of the year in which you are shopping. The gloves in this review range between affordable for a small size and above average price for large sizes. The leather construction, synthetic cuff, and insulation make this a very comfortable glove. Kincos 901 ski gloves are very durable, but like any leather palmed they will require some routine upkeep. These gloves have been designed with maximum comfort in mind. Kincos ski gloves are covered by warranty against defects in workmanship and material flaws. The manufacturer does not specify a specific length of time for their warranty. 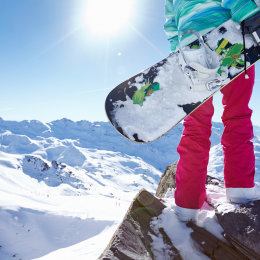 Tough Outdoors' winter ski and snowboard gloves are a good value option for those who won't need as much performance and hope to spend less money. 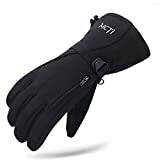 These gloves have a weatherproof outer shell, a synthetic leather palm, and synthetic insulating materials to keep you comfortable and dry in mild conditions. They are lighter weight and more pliable than the Kincos ski gloves, but won't last as long as gloves made from premium leather and synthetics. These Tough Outdoors gloves are a good choice for someone who needs a solid pair of gloves for light use. 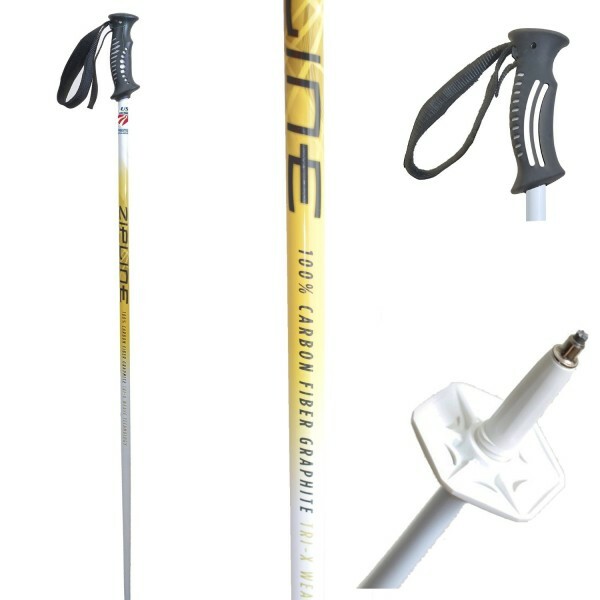 They could also serve as a reasonable backup for higher level skiers who always want to make sure they are prepared in the case of loss of damaged equipment. 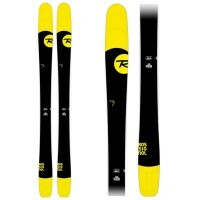 While they don't offer the same performance as Kincos ski gloves, their low price makes for an appealing option. These gloves have a wallet-friendly price of around an affordable price on Amazon. 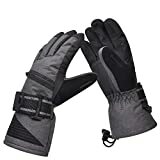 Tough Outdoors' winter ski gloves will be comfortable in mild conditions but don't expect much in extreme cold or wet weather. These gloves are value priced, and they are not as durable as some options on the market. With a simple black and gray design and wristband, these gloves are like many other value-priced options. Tough Outdoors backs these gloves with a one-year warranty. 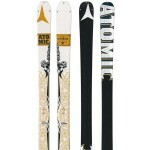 MCTi's waterproof men's ski gloves offer many premium-grade features at a budget level price. Unlike the Tough Outdoors gloves, MCTi's gloves are completely waterproof and feature premium-grade Thinsulate insulation. They also have a nubuck leather palm and a nose-wipe thumb for a quick cleanup when the juices get flowing. Another premium feature on these gloves is a hand warmer and storage pocket seated across the foregrip. Many outdoor enthusiasts rely heavily on hand warmers to stay outdoors for longer periods in adverse conditions. Having a purpose-built hand warmer pocket is a great option because it keeps your hand warmers in place while also keeping more of their heat within your gloves. 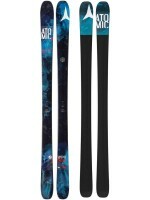 These MCTi ski gloves are an excellent choice for skiers who want high-performance gloves at a low price. They have a very minimal black aesthetic design, which could be a benefit or drawback, depending on the rider. The waterproof layer, nose-wipe, and insulation give a solid performance at a low cost. These gloves sell on Amazon for around more than average price. 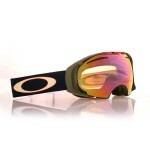 Thinsulate insulation coupled with a hand warmer pocket will make these a very comfortable option. The nubuck palm and waterproof nylon outer shell will keep these gloves in good shape for years of reasonable use. While these gloves have many premium features, they fall short on aesthetics. No warranty information is readily available for these gloves. These ski gloves from Solaris represent another quality option for those who want good performance at a value price point. Solaris ski gloves are waterproof, windproof, and boast a layer of 40 gram Thinsulate insulation for added warmth in cold weather. The outer layer is rated as waterproof so these gloves will give excellent protection in warmer conditions with wetter snow. One unique feature of these Solaris ski gloves is a scraper function on the thumb. This scraper will help remove any ice or condensation buildup from ski goggle lenses during poor conditions and sits side-by-side with a nose-wipe pad on the thumb. 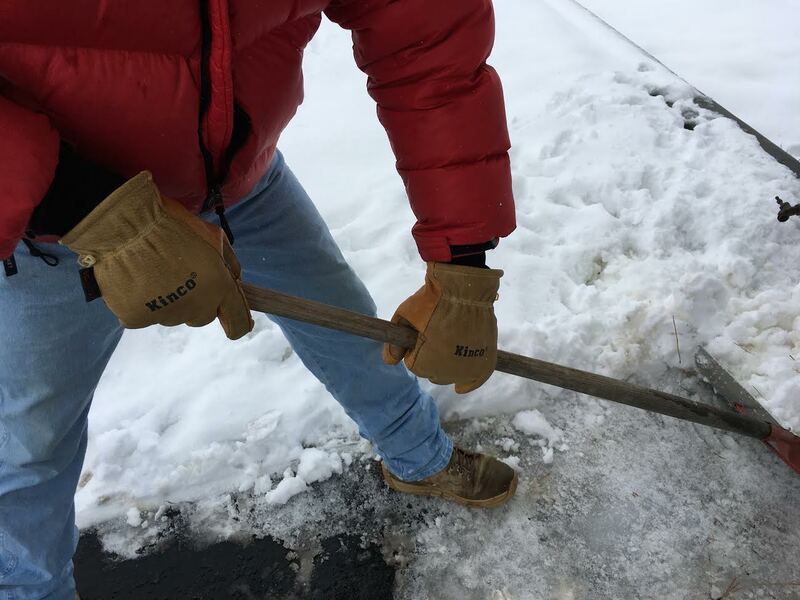 Besides the weather protection and scraper functions, these gloves also provide a hand warmer or key holder pocket on the top for a little extra heat or storage. These gloves would be an excellent choice for someone who plans to ski in wet weather conditions. 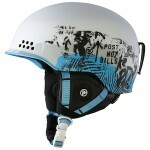 The will provide ample weather protection along with a helpful scraper to keep goggle visibility a maximum. 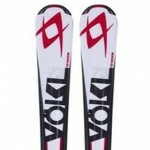 These Solaris ski gloves are available for around a very affordable price. With waterproof protection and Thinsulate, these are very comfortable gloves. While these gloves lack the durable leather of Kincos ski gloves, they offer solid durability. Solaris has packed many high-grade features into these gloves. No warranty information for these gloves has been provided by the manufacturer. If you spend much time in a mountain town of invest in seasons passes at a local ski mountain, you've almost definitely seen Kincos ski gloves. They're the gloves you see on those crusty locals and ripping mountain employees. If you've ever thought, "I wonder how all those ski patrollers stay warm in nothing but work gloves?" The answer is Kincos ski gloves. These gloves are a secret weapon and well-guarded secret of industry professionals because of their unbelievable value for the price. With high-grade features like pigskin leather, synthetic insulation, and insulated cuff, these gloves compete with other products that are five times the price. When compared with the Black Diamond Guide Glove you'll find that Kincos a rougher around the edges, not quite as pretty, and every bit as functional.